Michael gave Tom a few shout-outs at the recent Supanova Convention. He was asked about favourite seasons of SV & cited S3 as his favourite. He's talked before how he was having a hard time during the filming of Shattered & Asylum - with insomnia, with break-ins happening in his neighbourhood - and how that fueled his portrayal of Lex. This is the first time he's mentioned Tom "talking him down." 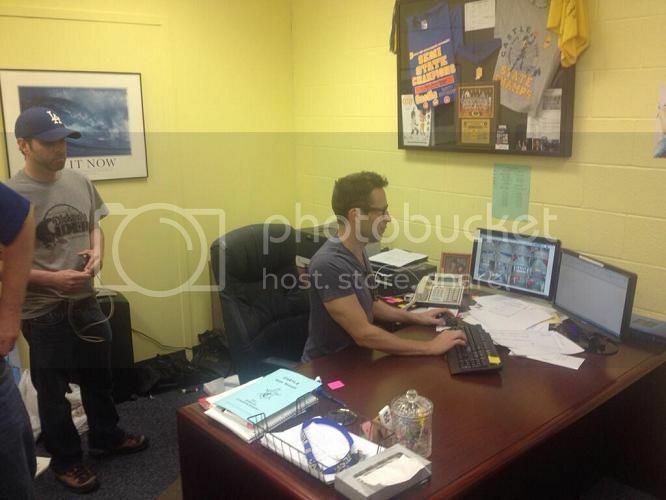 Cutest Michael-pic of the week - he takes over the principal's desk at his old high school. ARMS!